As the craziest week of TV begins tomorrow and we get all of our final TV news for the season, we have one last chance to look at which reality shows will be renewed, and which will be canceled. This page will be updated as decisions come in. Genius Junior: Maybe one season Neil Patrick Harris will get to have a hit show on NBC be renewed, but that season is not this year. Genius Junior never found an audience, and has not improved in the ratings at all since the last renew/cancel update. Sorry, fans, but this one won't be back next year. Little Big Shots: A true tossup in the reality renew/cancel this year, Little Big Shots has definitely seen better days. It's totally collapsed this year and is only performing mediocre at best. However, the series is a brand for NBC and around the world, and the reality factor is going to help it out. While I would not be surprised at all if this was canceled in the coming weeks, I am giving it the renewal edge and predicting a renewal due to the likely cheapness of the show, the brand, and the possible filler it can be used as anywhere in NBC's 2018-2019 schedule. The Bachelor Winter Games: After a very lackluster rated first season (all fractional datapoints), it's not very likely that the Bachelor spinoff will return for another season based off ratings alone. However, with this season being used as pure filler and only containing four episodes, ABC could easily entertain the idea of continuing to use the dating show for a few filler weeks every year. Also, with so few episodes, costs are going to be low enough per season to support the low ratings that the series will draw. While ABC wouldn't lose any sleep if they canceled it, I'm predicting that fans will see another season someday. It's been an amazing season here with the reality renew/cancel watch, and I really appreciate all of you who make sure to check it out every time there's an update posted. 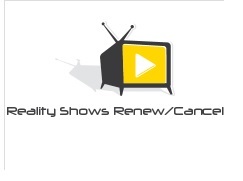 I've had the pleasure of starting the first Reality renew/cancel watch ever and keeping up with it for three years, and I hope you all continue to read it next season with whoever covers it here at The TV Ratings Guide.